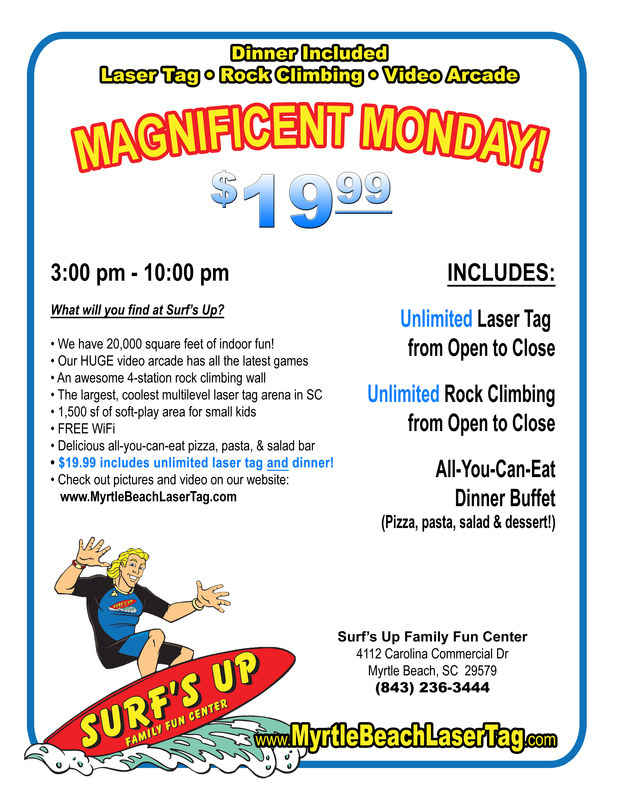 A Reason to Play Laser Tag at Surf's Up! and rock climbing from 3:00pm to 10:00pm! Also includes our all-you-can-eat dinner buffet! Tuesday Totally Awesome Tuesday! $20.00 for unlimited laser tag, unlimited rock climbing, and unlimited video games! Add our all-you-can-eat buffet for just $5.00 more!